It’s Easter! 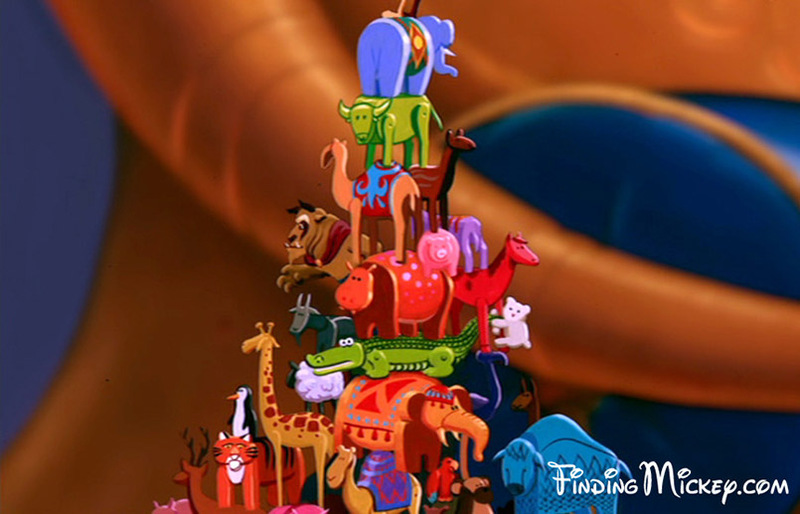 It’s also the opening of the new Disney film Zootopia so in honour of these events we’ve decided our Easter Egg Hunt is going to take a decidedly Disney turn, specifically trying to find all the Easter Eggs hidden in Disney films. 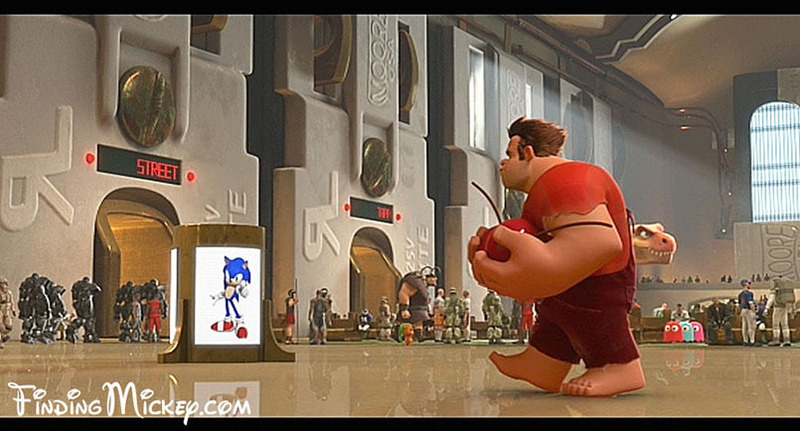 The animators over at Disney love to try and sneak in as many references to old films and in jokes as they can so here are a few. We’ve stuck to 1 per movie but there are hundreds so the next time you’re forced to watch another Disney movie for the 1000th time, entertain yourself by trying to see if you can spot them all. 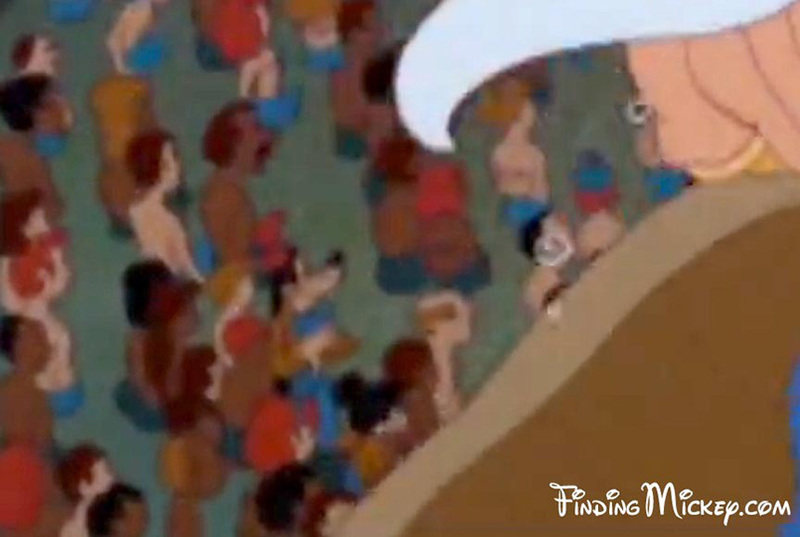 Mickey, Donald, and Goofy are among the crowd during King Triton’s entrance. 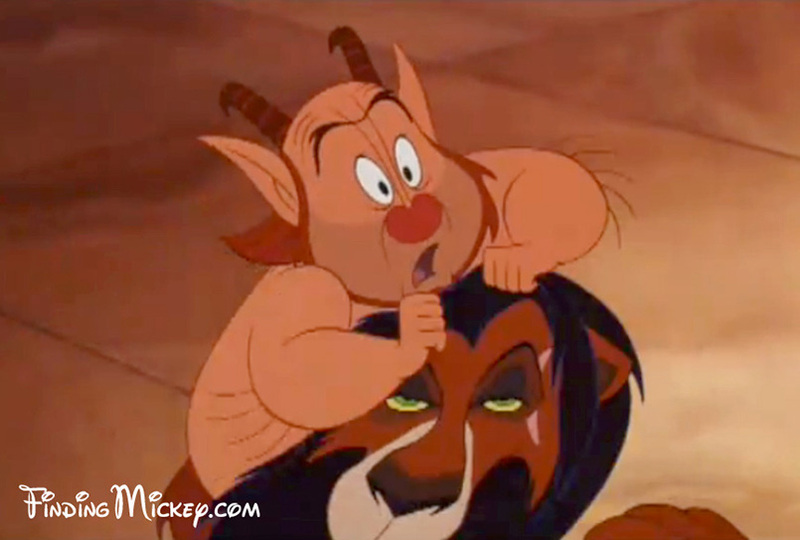 The Beast appears as one of the Sultan’s toys. 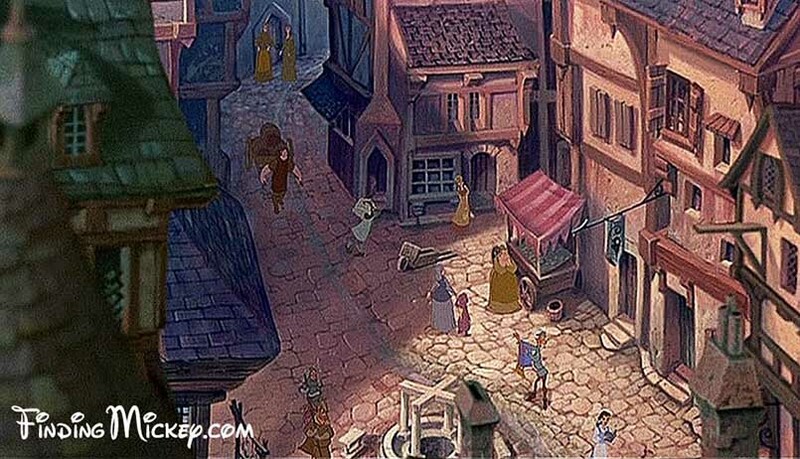 Aladdin’s Magic Carpet, Belle from Beauty and the Beast, and Pumbaa from The Lion King, are seen on the street surrounding Notre Dame during the “Out There” scene. 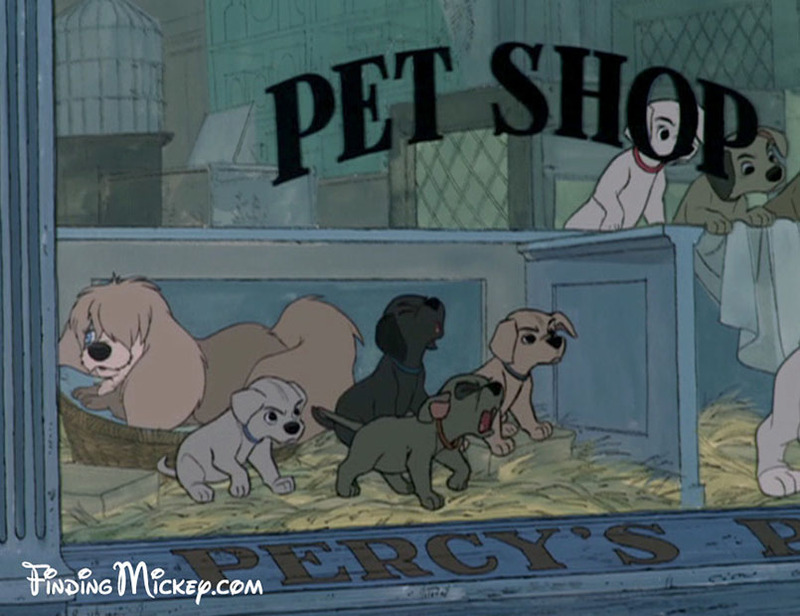 Peg, from Lady and the Tramp, appears in the window of Percy’s Pet Shop during the Twilight Bark scene. 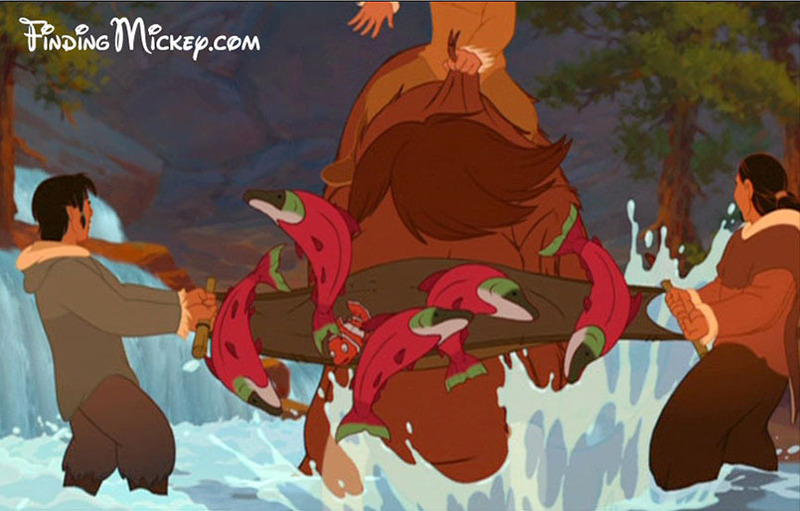 Nemo makes a cameo in the scene where Kenai disrupts the salmon fishing. 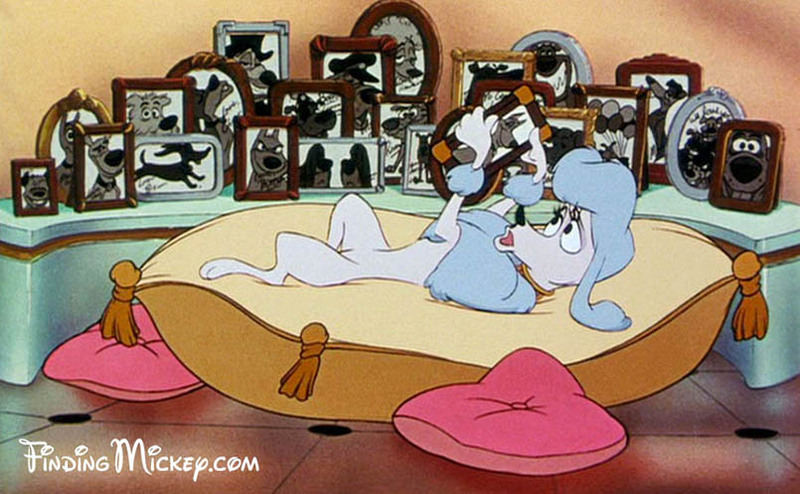 Ratigan, from The Great Mouse Detective, and Scooby Doo are hidden among the photos in the “Perfect Isn’t Easy” scene. Scar is the slain Nemean Lion. 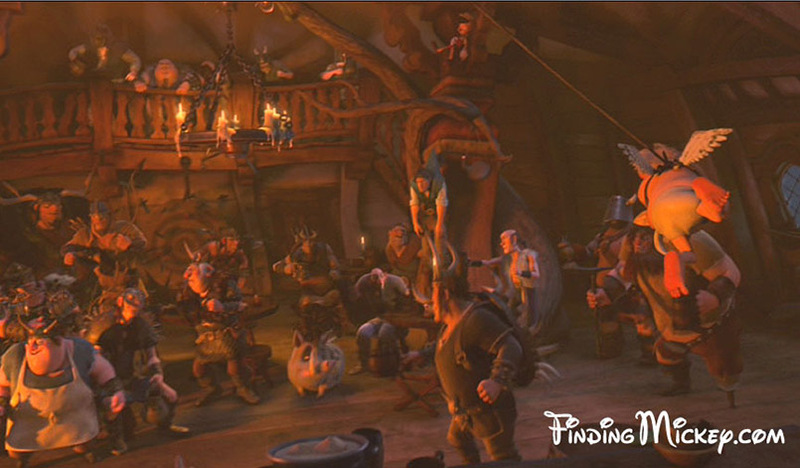 Pinocchio is hidden up in the rafters above Flynn Rider during the “I’ve Got a Dream” scene. 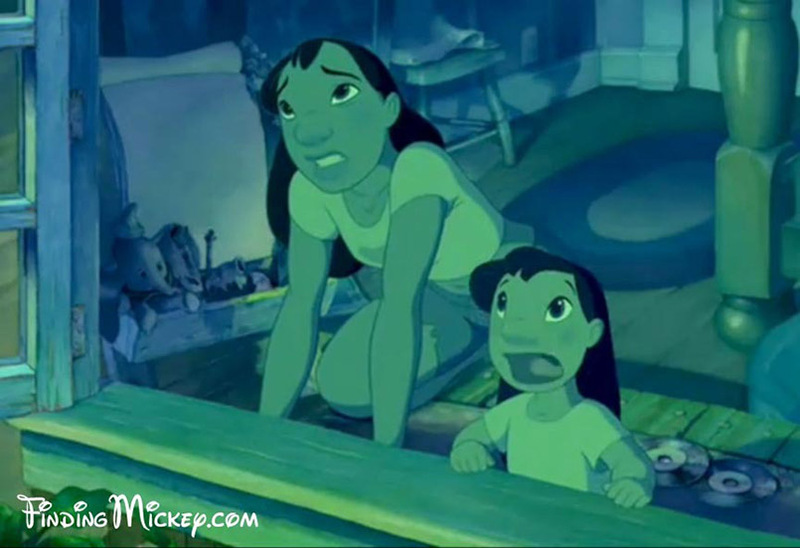 When Lilo is watching the falling star, a Dumbo toy sits in the background on the art easel. 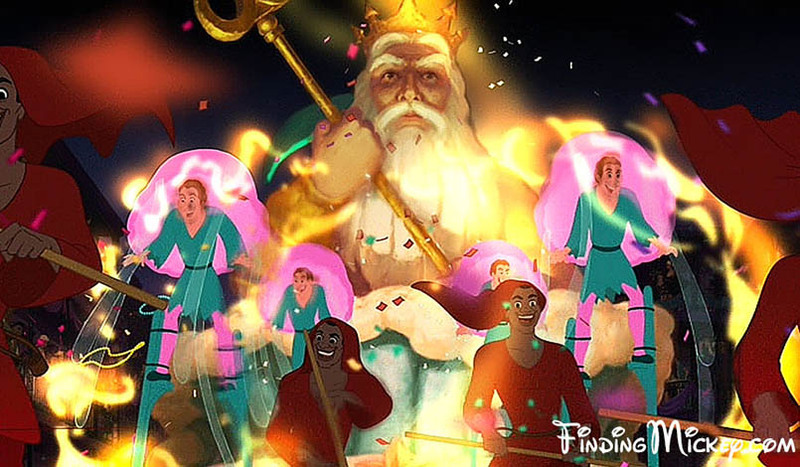 King Triton appears as a Mardi Gras float. Mrs. Potts and Chip are in Porter’s camp. 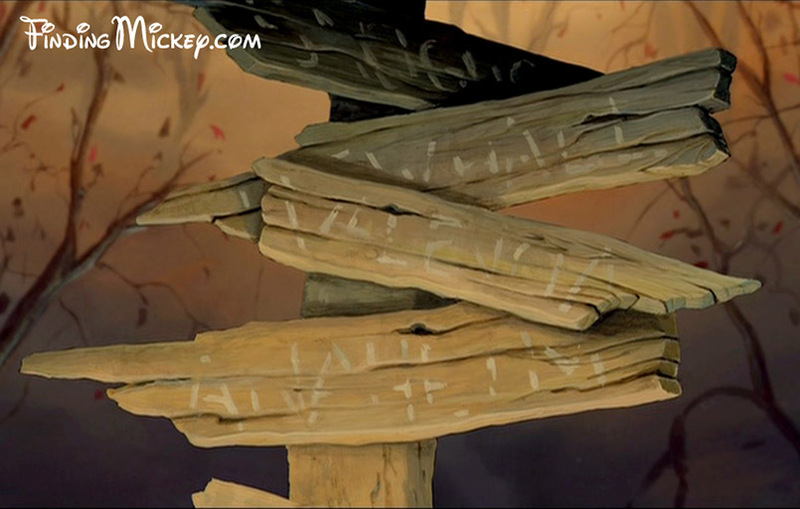 When Maurice and Felipe are lost in the woods they find a road sign, two of the routes on the sign read Anaheim and Valencia. – Anaheim: Where Disneyland is. – Valencia: Where California Institute of the Arts is located and many Disney artists come from. 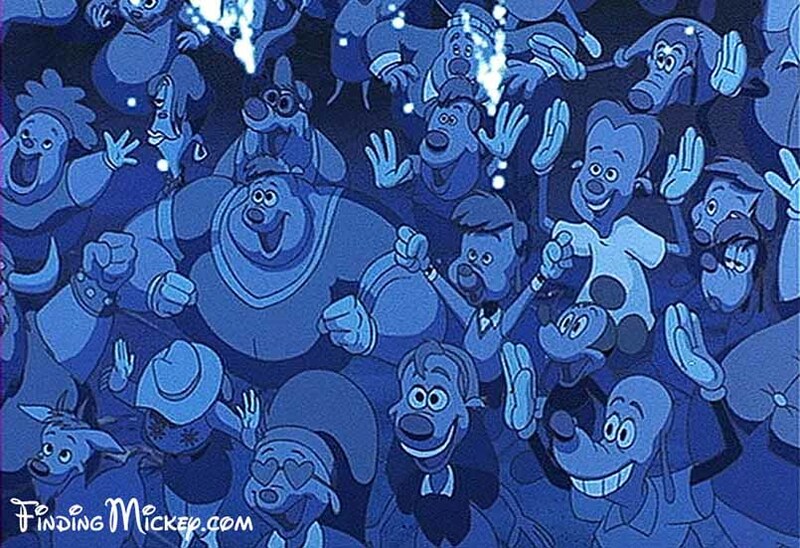 Mickey Mouse can be seen in the audience of the concert during the dance number between Max, Goofy, and Powerline. 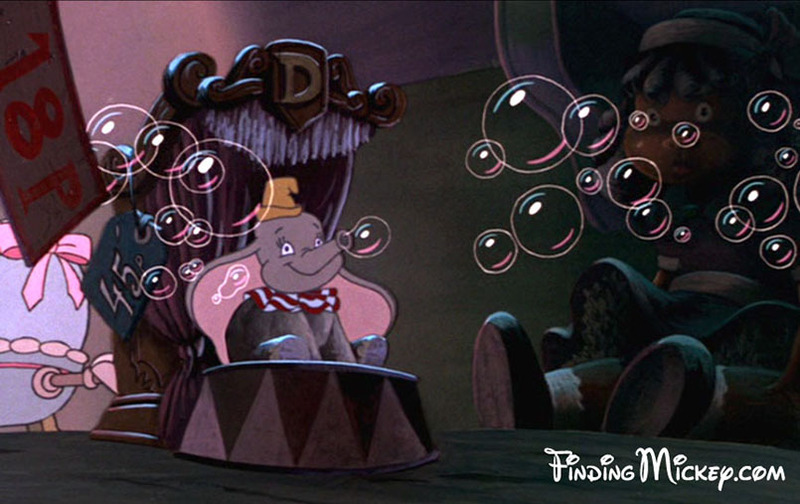 Dumbo makes a cameo as a bubble toy. Rapunzel and Flynn Rider can be seen attending the coronation of Elsa. But, there is also some debate that perhaps Tiana and Naveen attended the coronation as well. Tangled cameo by Vladimir, one of the thugs at the Snuggly Duckling. 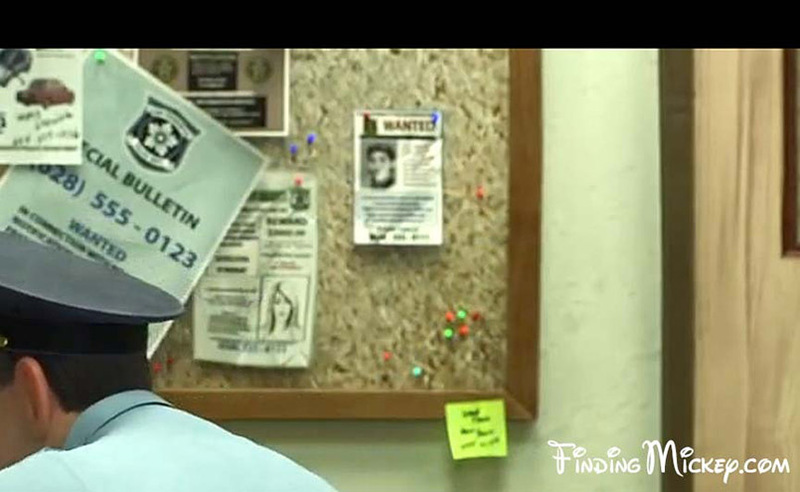 Hans from Frozen is seen in a Wanted poster. 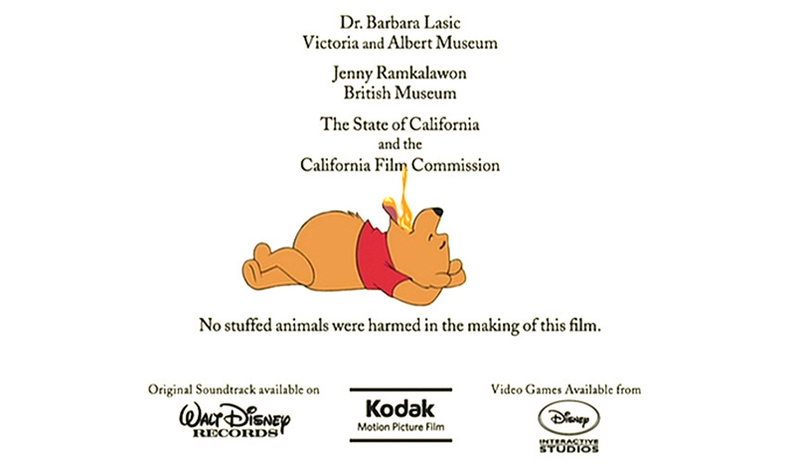 This adorable disclaimer can be seen at the end of the credits. 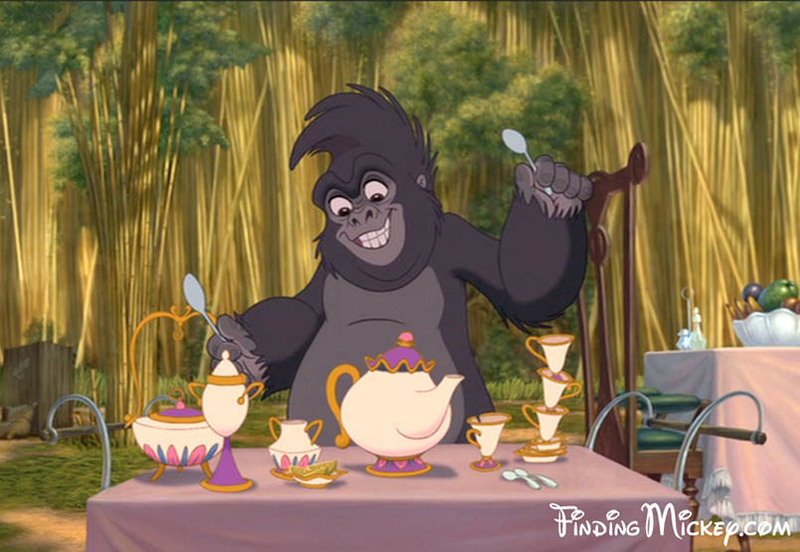 All the images used are from www.findingmickey.com – check them out for the definitive list of all the disney references, cameos and hidden Mickeys in the Disney universe.